Whether the Jews comprise a religion, a nation, an ethnic group, or a race (or a combination of these) has always been central to the Jewish Question. 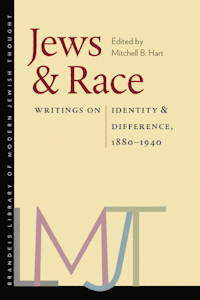 The recently published Jews & Race — Writings on Identity and Difference 1880–1940 (edited by Mitchell B. Hart) is an anthology of Jewish writing which offers a fascinating insight into Jewish racial thinking during a period when hierarchic social-Darwinian race theory was generally accepted throughout the West. Before the rise of Boasian anthropology in the 1920s and 1930s, Western anthropologists posited a direct correlation between external racial traits and internal psychological traits. Skin color was regarded as not just a physical attribute, but an external racial marker tied to a correlative set of intellectual, political, and cultural capabilities. Given the consistent results from over 90 years of IQ testing of different racial groups (as defined by external traits like skin color) and other race-based life history statistics, we know this methodology, long dismissed by those within the Judeo-Marxist intellectual establishment as “pseudoscience,” to be entirely valid. Racism is itself a central doctrine in traditional Judaism and Jewish cultural history. The Hebrew Bible is blatantly racist, with all the talk about the seed of Abraham, the chosen people, and Israel as a light to the other nations. Orthodox Jews in their morning prayers still thank God daily that he did not make Jews ‘like the other peoples of the earth.’ If this isn’t racism, what is? That highly regarded medieval book, Judah Halevi’s Kuzari, is blatantly racist. Halevi will not even allow that a convert to Judaism is the equal of a natural-born Jew. Martin Buber, the much-praised theologian and mystic, was still talking in the early 1920s about the distinctiveness of Jewish ‘blood’. Early Zionism was greatly affected by a positive view of racism. Herzl was inclined that way, and his close associate Max Nordau, for two decades a prominent Zionist leader in Europe, was the author of a classic of racist theory, Degeneration. From about 1830 to 1900 Jews in Western Europe, especially in Britain, benefited rather than suffered from racist attitudes. Jews of Sephardi origin, if they were affluent, were regarded in aristocratic circles as esoteric creatures possessing superior bloodlines, and intermarriage with a converted Jew was entirely permissible in the best social and political circles. The behaviour of the British Prime Minister Benjamin Disraeli is an example of this attitude. Far from trying to play down his Jewish ethnicity, Disraeli, the shrewdest of politicians emphasized it by turning up in Parliament in a hairdo and clothes that fit the racial stereotype of a Mediterranean Jew. It is hardly surprising in this intellectual milieu that Jews would resort to embracing “a cultural pluralism that removed the claim for the superiority of one culture over another” and which protected Jews from anti-Jewish claims that Jews were an inferior race. Jewish support among for Boasian anthropology — an explicitly antiracist “science” — grew as the expanding and prosperous Jewish communities in the West “suffered a severe check in the 1920s and 1930s from anti-Semitic discrimination and the closing of opportunity, particularly with regard to open access to the learned professions.” With this and the rise of the National Socialists in Germany, it became clear that White ethnocentrism and group cohesion was bolstered by hierarchic social-Darwinian race theory, and that this was antithetic to Jewish ethnic interests. The overthrow of this theory (and the resultant diminution of white ethnocentrism and group cohesion) was, as Kevin MacDonald points out, an ethno-political campaign that had nothing to do with real science. The “shift away from Darwinism as the fundamental paradigm of the social sciences” resulted from “an ideological shift rather than the emergence of any new empirical data” (CofC, p. 21). 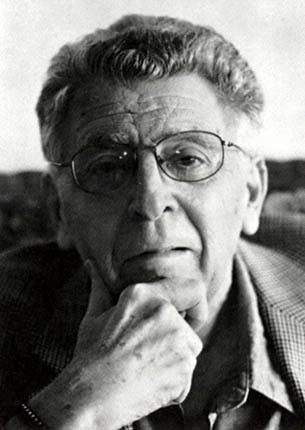 Implicit here is an admission that the vast post-WWII literature spawned by the Boasians denying the reality of race — which has profoundly influenced Western politics and culture — is based on a series of false assumptions that are increasingly hard to sustain in the face of population genetic research confirming the reality of race and racial differences. Likewise, the idea that Judaism is not a group evolutionary strategy (implicit in claims Judaism is just a religion) cannot be credibly sustained in the light of studies like that of Atzmon et al. (2010) which confirm that Jews are a distinct genetic community. This study examined genetic markers spread across the entire genome, and showed that the Jewish groups (Ashkenazi and non-Ashkenazi) share large swaths of DNA, indicating close genetic relationships. 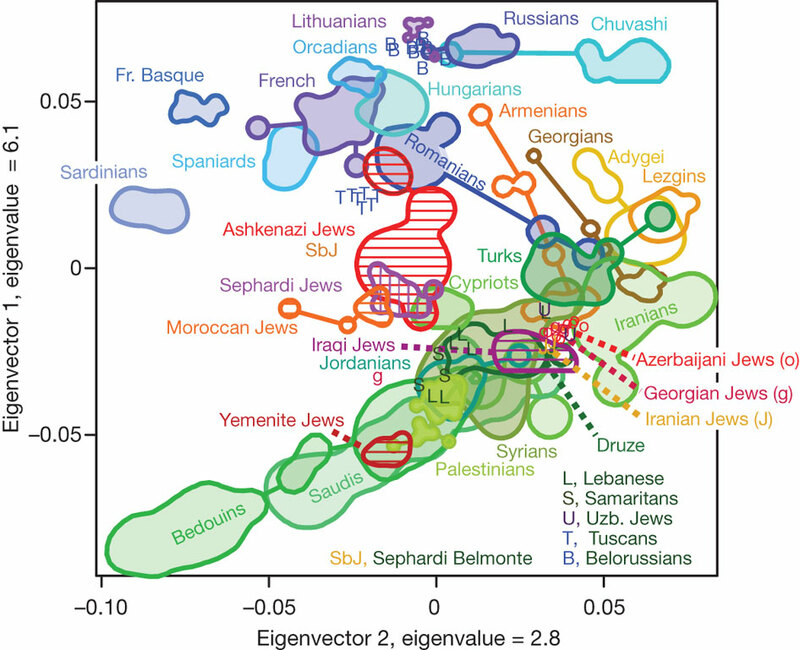 Although each Jewish group in the study (Iranian, Iraqi, Syrian, Italian, Turkish, Greek and Ashkenazi) had its own genetic signature, each was more closely related to the other Jewish groups than to their non-Jewish countrymen. Atzmon and colleagues found that the SNP markers in genetic segments of 3 million DNA letters or longer were 10 times more likely to be identical among Jews than non-Jews, and that any two Ashkenazi Jewish participants in the study shared about as much DNA as fourth or fifth cousins. it is absolutely impossible to find any reason to justify exceptional laws for a group of people, in particular, for the Jews. The principle of human brotherhood, of equal rights for all men, is the foundation of every modern state. Outside this principle, there can only be arbitrariness and injustice, and a state that is not founded on justice cannot even be conceived of. Between a French or German Jew and a French or German Christian there is assuredly less of a difference, if there is one at all, than between a Frenchman and a German, a German and a Slav. But even if this difference were more obvious, there would be no reason to drive Jews out of a country and to refuse them civil and political rights. Every nation is composed of different races, and therein the Jewish race can find a legitimate place. 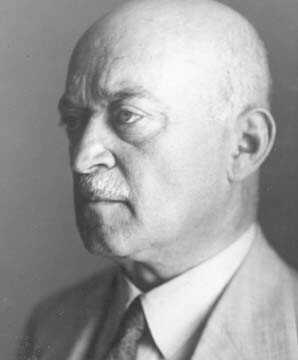 By asserting boldly a theory that there is no Jewish race, but only a conglomeration of people professing the Jewish religion, Judge Mack and Mr. Wolf, and the organizations they represented, uttered a statement, which, if true, would exclude from among our ranks many who are devoted to the ranks of the Jewish people but who are not religionists in the accepted meaning of the term. We believe we speak in the name of the entire Jewish people when we say the Jewish people, native born and naturalized in this country, are not ashamed to have themselves or their brethren classified as racial Jews. The Jewish race is very homogeneous around the world. It is not uniform, as no civilized race (Kulturrasse) is, but its variations do not differ fundamentally from one country to another. 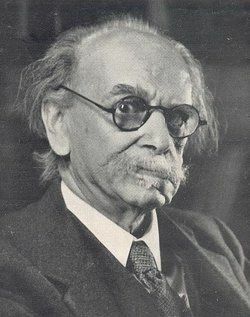 A different fate, a distinct environment, did not result in the blurring of a common and wholly durable type, and indeed the Jews can demonstrate more clearly than any other race how overwhelming an influence heredity has, when compared to assimilation, in the matter of a race’s fate. The Jewish nation has propagated itself in an essentially pure manner from the time of Ezra until today, and for more than two thousand years represents an ethnically peculiar race, which was not diluted by foreign blood. It is self-evident that a few drops of foreign blood must have found their way among the Jews during the long time in the Diaspora. But these admixtures were too insignificant to have any essential influence upon the ethnic character of the nation. Thus the Cohanim, who were absolutely excluded from mixed marriages, are typically the same as the other Jews. The state of affairs can best be described in one sentence: a great deal of blood was exported from Jewry, but little indeed was imported from outside. And, consequently, we can assume with certainty, that the blood that flows today in the veins of the Jews is the same as that of two thousand years ago. Essays cited in this review from Mitchell Hart’s (Ed.) Jews and Race: Writings on Identity and Difference 1880–-1940 (Brandeis University Press, Waltham, Massachusetts, 2011). Goldstein, M. (1913) ‘The Jewish Racial Problem,’ In: Jews and Race: Writings on Identity and Difference 1880-1940, Ed. Mitchell B. Hart, Brandeis University Press, Waltham, Massachusetts. 317-322. Loeb, I. (1893) ‘Reflections on the Jews,’ In: Jews and Race: Writings on Identity and Difference 1880-1940, Ed. Mitchell B. Hart, Brandeis University Press, Waltham, Massachusetts. 49-59. Ruppin, A. (1908) ‘The Mixed Marriage,’ In: Jews and Race: Writings on Identity and Difference 1880-1940, Ed. Mitchell B. Hart, Brandeis University Press, Waltham, Massachusetts. 219-223. Ruppin, A. (1930) ‘On the Origins and Race of the Jews,’ In: Jews and Race: Writings on Identity and Difference 1880-1940, Ed. Mitchell B. Hart, Brandeis University Press, Waltham, Massachusetts. 71-80. Unsigned editorial from The Maccabaean (1910) ‘”There Is No Jewish Race!” The Testimony of the American Jewish Committee and Union of American Hebrew Congregations before the United States Immigration Committee,’ In: Jews and Race: Writings on Identity and Difference 1880-1940, Ed. Mitchell B. Hart, Brandeis University Press, Waltham, Massachusetts. 285-296. 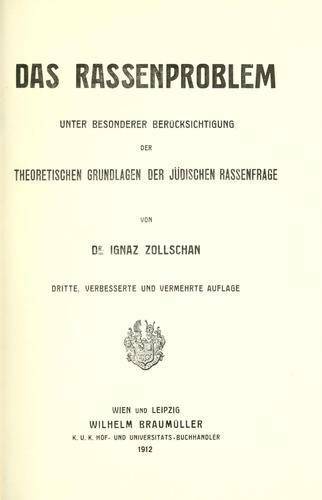 Weltsch, R. (1913) ‘Concerning Racial Theory,’ In: Jews and Race: Writings on Identity and Difference 1880-1940, Ed. Mitchell B. Hart, Brandeis University Press, Waltham, Massachusetts. 311-316. Zhitlowsky, C. (1939) ‘Jews and Jewishness,’ In: Jews and Race: Writings on Identity and Difference 1880-1940, Ed. Mitchell B. Hart, Brandeis University Press, Waltham, Massachusetts. 323-330.